Good food, unlike good help, is becoming increasingly easier to find. Our guest today is helping make it easier to get quality craft-beef delivered right to your home. Joe Heitzeberg is the co-founder of CrowdCow, an online platform that connects customers with farmers to “crowdfund” buying beef. Today we’ll discuss where the idea came from, how it works, what Joe’s learned about farming along the way and so much more. Be sure to enjoy this episode with Joe Heitzeberg. Joe was born in Texas, but grew up in Idaho. His profession had always been in software. 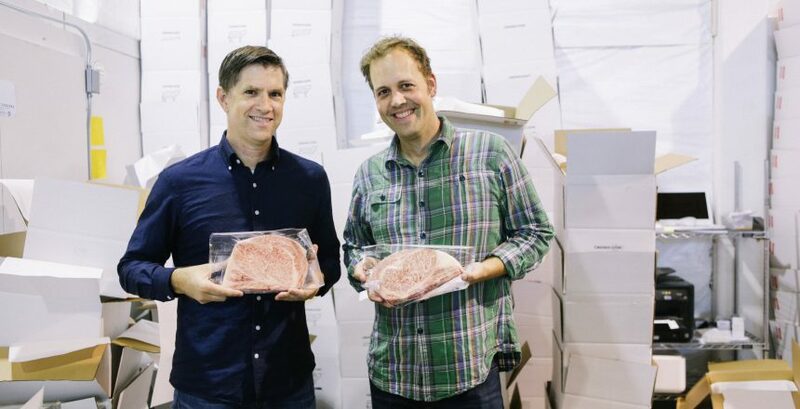 CrowdCow is a mission driven company that provides a connection between farmers and customers to get craft beef. The focus of CrowCow is to be able to shine a spotlight on the Producer and how the Producer raises the beef. Beef in a grocery store is treated as a commodity. Wine, chocolate, and coffee are allowed to be savored with the complexities and varieties, why not the same with beef? Wagyu as a literal word means “Japanese cow.” But there’s one called distinct variety that layers the fat distinctly marbleizing it on the inside. The A5 Wagyu means that it is the highest quality of beef on the Japanese beef scale. Japanese culture is much more aware of the distinctive change of beef based on location, breed, and feed. When CrowCow first started, the farmers were skeptical, but excited when it proved a good idea. CrowdCow allows consumers to learn about the farmers story and their practices, giving them the knowledge to make educated decisions about the beef they buy. The spotlight on the farmer allows the consumer to bypass the system of label confusion. An essential aspect to CrowdCow’s philosophy in marketing is that the internet allows a high level of transparency from your farms. Not all farmers are great communicators, but if you pay attention you’ll often hear something profound. Crowd Cow connects the dots between the farmer and customer, allowing the farmer ease of sale and the customer full transparency.